We can tailor your Audio Visual Rental for the perfect performance or presentation when you call Master Sound Productions, today. Since 1996, our award-winning event production company has sourced some of the highest standard of event production gear including audio visual equipment for our clients. Whether you're planning a large event or a small gathering, indoors or outdoors, we can make sure you have the perfect rentals to make your dream event come to life. 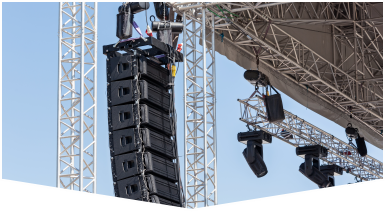 Our licensed technicians, audio and visual engineers, and event crew can come together to plan your event, with plenty of access to extra tables, chairs, tents, custom staging, and more. Call today for a FREE estimate to find out more. 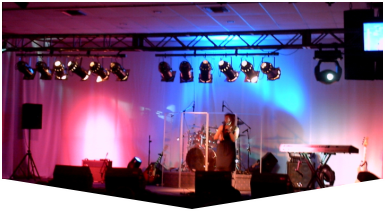 With the right lighting, you can change the atmosphere or mood of nearly any venue. Master Sound Productions is a leader in South Florida for event production and audio visual rental because we are proud certified retailers for DAS and JBL audio gear. 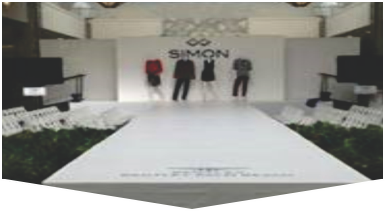 Each piece of rental equipment will be carefully tested for top performance and delivered to your venue on time. If you want, we can set it up for you and may even be able to stick around to monitor your equipment, making sure everything runs smoothly from start to finish. If problems do arise, you'll be glad our trusted specialists are nearby.